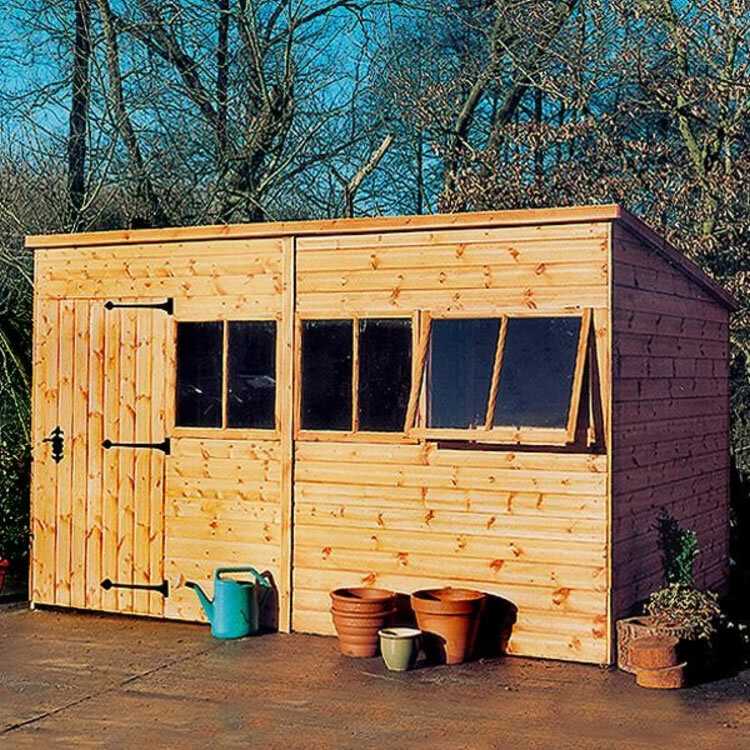 The heavy duty pent shed from Malvern is a strong and robust shed with every care taken to build a long lasting shed. 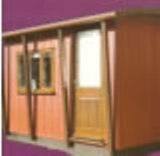 Malvern have been manufacturing garden buildings since the 1970's and have built an unrivaled reputation for quality materials and workmanship. 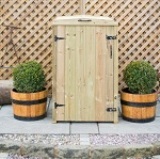 This heavy duty pent shed from Malvern is perfect for storing your garden tools and accessories. As standard the shed features heavy duty 48x48mm framing, and is clad in 12mm tongue and groove shiplap deal. 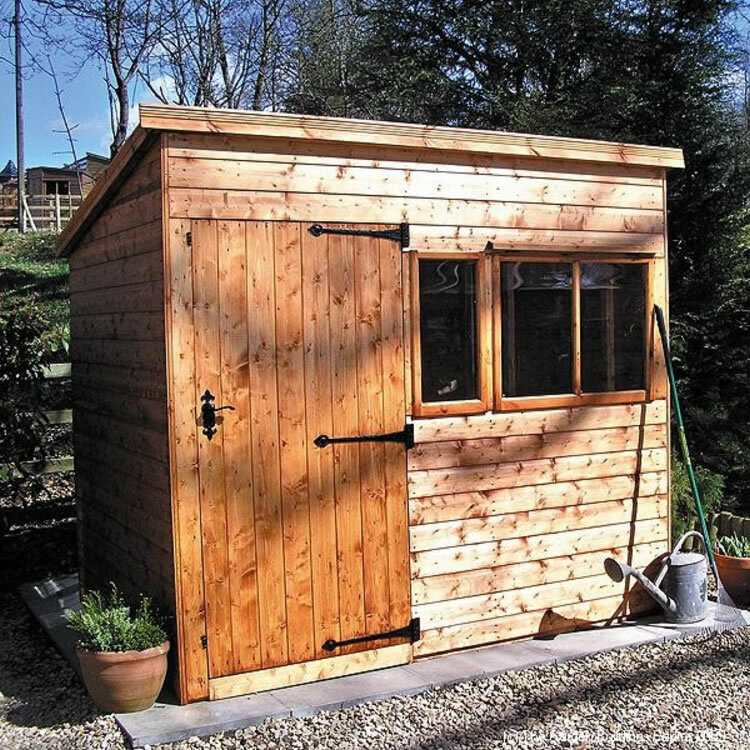 The shed features joinery made windows to the side for plenty of light, and a fully framed, ledged and braced 35" wide door hung with 3 heavy duty galvanised hinges with a built 3 lever mortice lock. This pent shed has various configuration options to help you achieve the perfect design for your requirements. Please see the pictures below, and select the correct option from the drop down list. 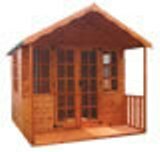 The shed is treated with a spirit based timber treatment throughout, unless you choose the long lasting pressure treated option. This shed now features toughened glass as standard. 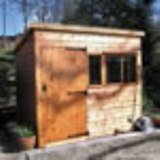 Various options are available with these diverse sheds including 12mm pressure treated tongue and groove deal, 20mm shiplap deal, 12mm cedar cladding, 15" workbenches, stable door and floor bearers. 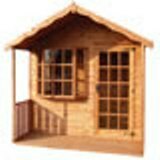 With all the options you are sure to find a perfect high quality shed at the right price.